T-Bone Steaks on The Grill. Roaster Chicken in a Pan. 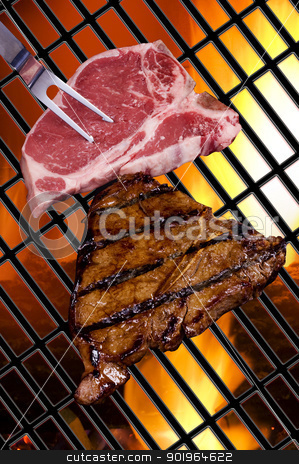 Photo of T-Bone Steaks on The Grill.